Thanks to those who gave me their opinions as I spec'd my E550. I picked up the car in Sindelfingen in July and dropped it off August 2. It is finally in the US and should be at my dealer next week for me to pick up. The European Delivery experience was great - the factory tour is impressive and it was lots of fun taking the new car on twisty roads in Switzerland. Couldn't do too much high speed driving as they recommend not doing this until after you hit 1,000 miles. Still, a great way to break in the car. 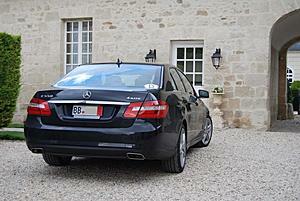 I recommend Euro delivery although the wait to get the car after is a little frustrating. I did have one quality issue - a faulty fan in the drivers ventilated seat back. Not sure if anyone else has had this - sounded like the fan was grinding into my seat leather. Dealer will fix when this arrives. Here are a couple of pictures. 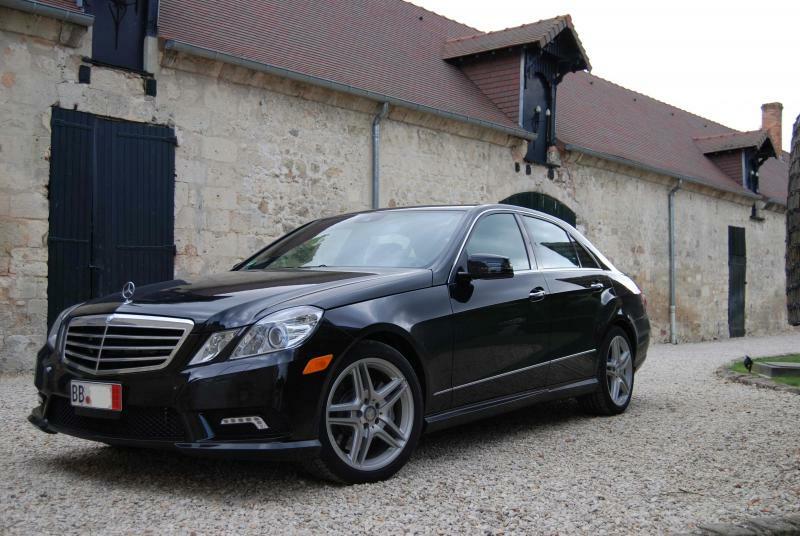 2011 E550 with P2, split folding rear seats, rear seat entertainment, sport package (really like the steering wheel and new 5-spoke wheels). 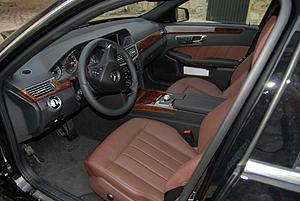 Colors are flat black with Chestnut interior. Nice colors, great car and great experience. Congrats. what else is done while breaking the vehicle in? The only advice I got for break-in was to keep under 4000 rpm and under 80 MPH until you get near 1,000 miles. I've also been told to watch the oil level during this period and make sure it does not get too low. Stamp of approval for one of the nicest interiors! 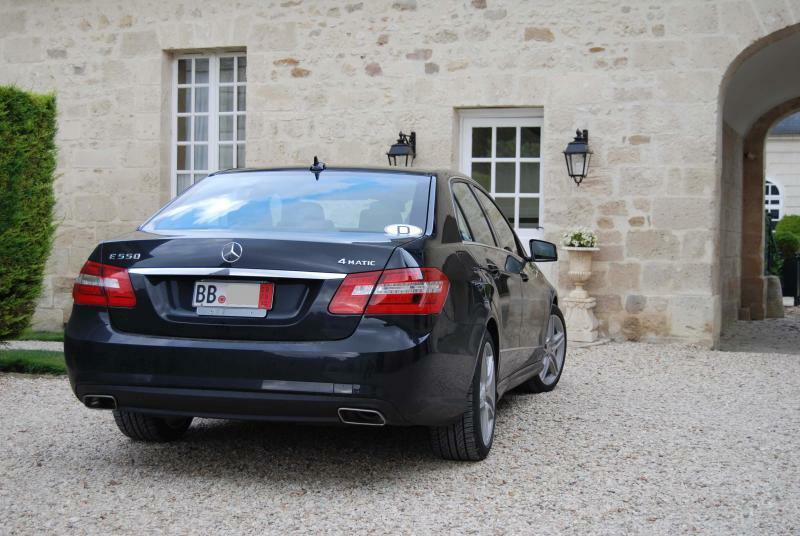 Just getting a nice Mercedes rental is a fun way to drive around Europe too. At least I tell myself that. I have done that. I probably won't ever get to do European Delivery. But who knows.